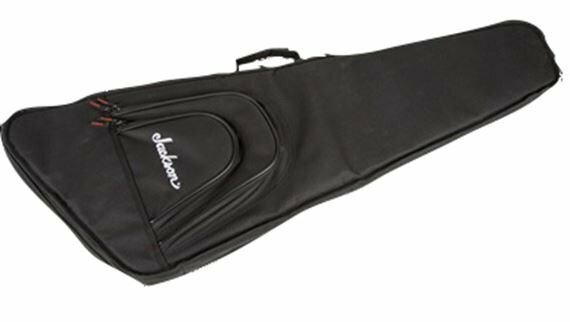 Shop Jackson Gig Bag For Minion Rhoads King V Warrior Kelly Guitars from AMS and enjoy Fast & Free Shipping. Note: This bag is designed for the Minion 2/3 size Series. This bag will not fit a full sized Rhoads, King V, Warrior or Kelly guitar. Well made and fits most excellent. Other than not fitting my JS32 Kelly,it is nicely made. I was going to send it back but it fits my generic rhoads V perfectly.It's nicely padded and the 2 outside pouches add nice storage for accessories or even a tiny practice amp. This bag will not fit a Jackson Limited Edition KEXTMG Kelly, the bag is about 2 inches to short and the head-stock hangs out of the end. The bag is well made, great deal for the money, just way to short. I guess I will make it work and just be mindful or the headstock hanging out of the end of the bag.